You already know that Pilates lengthens and strengthens your muscles, improves your balance and posture, helps with your breathing, flattens your abs, and revs up your energy level. Time to rethink that bit about the mind and brain, though, because it’s been proven that regular, moderate exercise such as mind body exercise like Pilates can increase your smarts as well. Brain exercise can do a lot for your health. According to a recent article in USA Weekend, researchers at the Salk Institute for Biological Studies in San Diego have linked physical exercise to neurogenesis, the scientific term for new brain growth. “There is growing evidence that regular and consistent, moderate physical exercise can improve cognitive performance in young, healthy individuals and in the aging population,” says Fed H. Gage, lead researcher of the study. Check out this page for some appropriate mind body fitness moves for the older adult here. Successful aging studies have consistently shown that higher levels of physical activity are correlated with better aging. And exercise has also emerged as a factor that may prevent (or at least delay) the onset of Alzheimer’s disease. A University of Washington study found that regular exercise reduces the risk of dementia and Alzheimer’s disease by up to 40%. 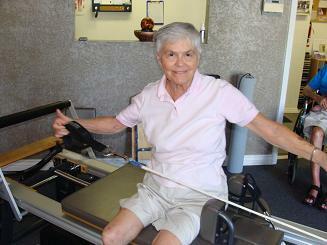 A regular gentle workout was enough to produce a positive effect, even for people aged over 65. Not only did regular exercise cut the risk of dementia, the results suggested it might also help to delay progression of the condition in people who begin to develop symptoms. Lead researcher Dr. Eric Larson believes exercise may improve brain function by boosting blood flow to areas of the brain used for memory. He said: "One theory is that exercise may prevent damage and might even help repair these areas by increasing blood flow." 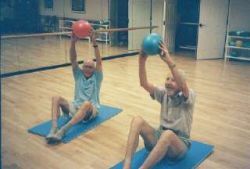 "Even if you're 75 and have never exercised before, you can still benefit by starting to exercise now,” Dr. Larson said. Brain imaging studies show that highly-fit older adults have faster reaction times than their less-fit counterparts. Consider how much this would reduce the risk of falling! They also are better able to focus on relevant information and ignore irrelevant cues, indicating better attention. Highly fit people also show less of a decrease in gray matter in the cortex than is normally seen with aging, which may suggest a protective effect of mind exercise against nerve cell death. Use the Exercises in my Healthy Back and Joints DVD to improve your mind here. As mentioned above, neurogenesis is the production of new nerve cells as a result of neuronal cell division. This increased neurogenesis is associated with improved learning. In lab animals, exercise also increases the strength of synaptic connections. These synapses allow information to effectively flow from one neuron to another in the brain. 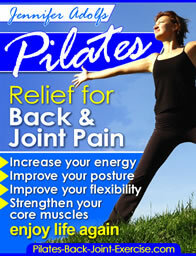 Leave Pilates Mind Body Exercise and find more ways Pilates exercises help you with a sharper mind.